After volunteering thousands of hours at Sharing Wheels for more than 10 years, Kristi Knodell has decided it’s time to pass the baton. Based in part on a review of other community bike shops, the Board of Directors is currently working on a plan to move from an all-volunteer shop management model to using paid staff. Sharing Wheels elected a new Board of Directors during the summer of 2015. One of our primary goals at that time was to find a new space for the Sharing Wheels shop. We are hoping to find a larger space with greater visibility (and heat!). Although the current location is very affordable, anyone who has visited the shop knows it is a little crowded. And if you’ve ever spent time there in the winter, you also know there is no heat. As part of this discussion, we looked at other community bike shops in the area. It turns out most of them rely on professional bike mechanics for a steady revenue stream that keeps the doors open and the lights on so they can run their other programs. The Board identified increasing revenue as a critical step in moving to a new location as we felt we needed to plan for higher rent in a new location. We also discussed expanding the number of shop hours on a weekly basis, the possibilities of retaining an all-volunteer shop model versus hiring employees, and looking for grant funding. However, finding grant funding for any nonprofit operations, such as paying the rent, is always difficult and not a longterm fix. In late 2015 we drafted a grant application to the City of Everett Community Development Block Grant program (CDBG) program, proposing to use grant funds to expand shop hours on a weekly basis. In May we were notified we have been awarded a grant of $9,000, which should allow us to open the shop up for an additional nine hours per week. We expect to start offering Saturday and some evening hours sometime in July or August, which we hope will greatly increase the number of families and individuals served through the bike shop. 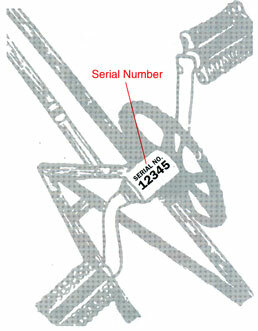 Currently, we are in the process of hiring two independent bicycle mechanics (former volunteers!) to prepare bicycles for sale, and to perform maintenance and repair services. These mechanics are expected to increase our “ready for sale” bicycle inventory, which in turn will hopefully begin to raise revenues. 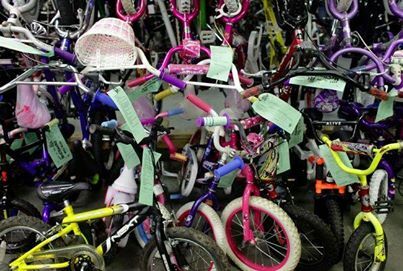 A few years back Kristi made an extra effort to prepare bikes for sale, by putting in more than her usual number of volunteer hours, and revenues increased noticeably. We hope to fill this position by the end of July so that the new Shop Manager will be able to train with Kristi over the month of August. This job opportunity has a lot of potential for growth, and the newly hired employee will be expected to help raise revenue and/or funding to pay for their position over the long term. Volunteers will continue to be an essential part of our shop operations – we just won’t rely on one person’s dedication. Kristi is planning to step down as Shop Manager at the end of August. Thanks to her years of hard work and careful management of Sharing Wheels, we are poised to grow over the next few years. The new board will serve through January 2017. The board will select its officers at its first official meeting in September. Tony is a design engineer at Boeing and a bike communter. He has coordinated the Kids Bike Swap for the past 5 years or so, hosting many work parties, turning many wrenches, and calling volunteers. He appreciates Sharing Wheels for the access to tools and parts, the community service it offers, and the chance to hang out with others who love bikes. He has served on the board of Everett Youth Soccer. His first goals as a board member would be to create a budget and a plan to allow for expanded shop space and hours. Brice is an attorney advisor for the Social Security Administration Office of Disability Adjudication and Review. He has taken the Sharing Wheels mechanics class and volunteered at several work parties over the years. He previously served on the board of Senior Services of Snohomish County. As a board member, he will bring his experience reading and writing legal documents and real estate contracts. He would like to familiarize himself with similiar community bike shops to understand how they have grown to offer more access to the community and volunteers. Tucker is a manufacturing engineer for an aerospace company in Redmond. He has worked in a bike shop and raced cyclocross on the U.S. national team. He has volunteered at the Kids Bike Swap and helped at a work party in the past. He sees Sharing Wheels as a great way to improve the community and enjoy bicycles. As a board member, he’d like to improve the shop’s community and online presence, organize the shop and systems to improve bike sales, and promote activities such as classes and group rides. He also offers his wife’s experience as a grant writer. Tucker has connections to The Hub in Bellingham and youth racing organizations. Kristin is a communications consultant who formerly coordinated local Bike to Work events and the Snohomish County Bike Map for Community Transit. She is the current president of BIKES Club of Snohomish County, and former president of the statewide Bicycle Alliance of Washington. She has been passingly involved with all types of Sharing Wheels activities from the very beginning, mostly through her wife Kristi Knodell, the volunteer shop manager. As a board member, she looks forward to developing a more formal volunteer program that can help support the shop as an important community resource for low cost bicycles.